Most of us love apples and one to consider growing in the landscape is Spartan. This apple variety is a hardy grower and provides lots of flavorful fruit. Keep reading for more information on growing Spartan apples in the landscape. Spartan apples have a delicious, light and sweet flavor. They are a Canadian offshoot from the McIntosh apple. Their trees bear a beautiful deep plum-red fruit that is somewhat smaller than the McIntosh. Great for eating and juicing, these apples have a long shelf life when kept at cool temperatures. The mature Spartan apple tree grows to a compact size with a high density of blossoms. The deep red color of the fruit is quite attractive; however, pruning is a major consideration because of the over-abundance of blossoms. If not clipped back, the blossoms will produce smaller fruit and will drain the tree of necessary nutrients. As with most varieties of apple, another tree nearby is needed for pollination of the blossoms. Growing Spartan apples is not difficult, although you may not find this variety at your local retail garden center. You can find this variety online and buy rootstock shipped to your location. 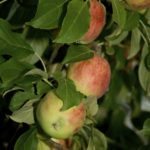 As with most apples, a well-drained soil is paramount to a healthy tree. The soil should be minimally fertile, so you may need to use some additional fertilizer during the pollinating and growing season. Other apple trees within its pollination area are essential to fertilize the buds and form fruit. Pruning back of the excessive smaller buds is important in the care of Spartan apples and best performed as the tree is forming its fruit in June (late spring/early summer). This will make the tree produce larger and more flavorful fruit and conserve the tree’s nutrients. 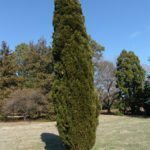 The tree tends to grow dense and compact, so you also want to keep a good air flow through the center of the tree to avoid fungus growth. Spartan apple trees are susceptible to apple scab and canker. These maladies are most prevalent in very damp climates. If your environment is such, you may want to reconsider the Spartan apple for other varieties. If the apple scab fungus is prevalent in your area, spray the tree in early spring just as the green tips emerge from the ends of the branches. 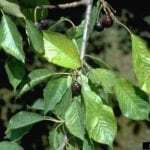 Should the tree become infested later in the growing season, you may have to forfeit the season’s fruit and cure the tree late in the fall when the leaves start to fall off. In that case, you need to spray with zinc sulfate and urea. Remove the fallen leaves and discard them – don’t put them into your compost. Canker is a fungal disease of the bark. Care in pruning and avoiding cuts or other damage to the bark of the tree is the best way to avoid canker. Apples are such a delicious and nutritious part of everyone’s diet. As per the old saying, they may help keep “the doctor away.” Enjoy!